This time last week I was sharing with you a glimpse of my wedding. I shared with you my nails, the dress, and my rhinestone brooch wedding bouquet I made. If you missed it, you can see the original post here. I’ve had so many people interested in just how it was made, and asking for tips for making their own, I decided to put together a little video tutorial and overview. 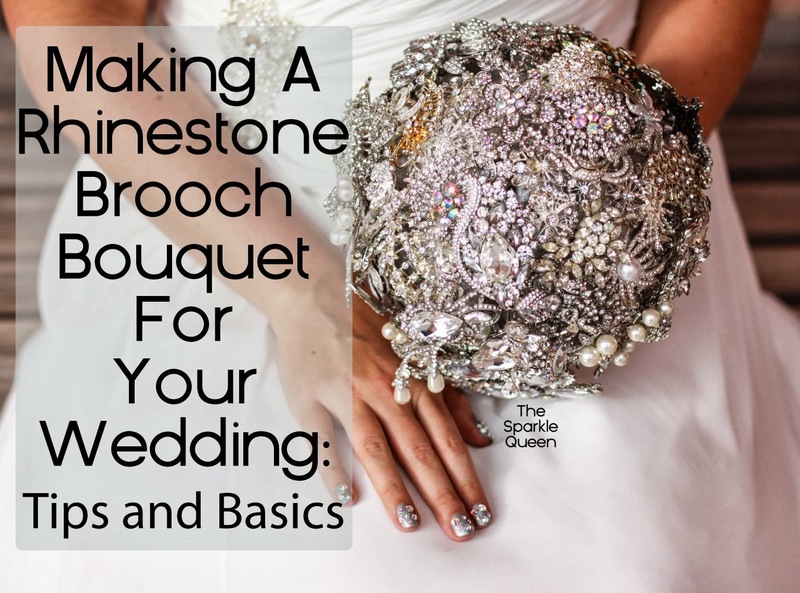 I will also be putting together a shorter video talking about what to look as you gather your pins, brooches and jewelry for your own bouquet. Stay tuned for that addition! PS – if you would like your own pair made, CLICK HERE to go to my shop on Etsy. From there you can message me or hit the “request custom order” button on the left. I look forward to hearing what you have in mind! The sky is the limit! Okay, so I'm still watching the video, but the little parrot lapel pin keeps catching my eye and making me smile. The whole thing is amazing! Hehe I'm so glad 🙂 That parrot was one of those things I just saw and was immediately stuck by it. I knew I HAD to have it. It was perfect! how did you attach the handle of the bouquet to the Styrofoam. confused here. thanks! Hey there! There is no official handle per say. I twisted together the wires that I used for securing the pins through the foam ball into a handle using long strands of wire. Essentially, you use a long strand of wire to secure the pin through the foam, and the remaining loose wire (on the inside of the foam) twists into the main stem and gathers into a handle. Hope that helps!